There’s something magical about a perfectly mirrored image. 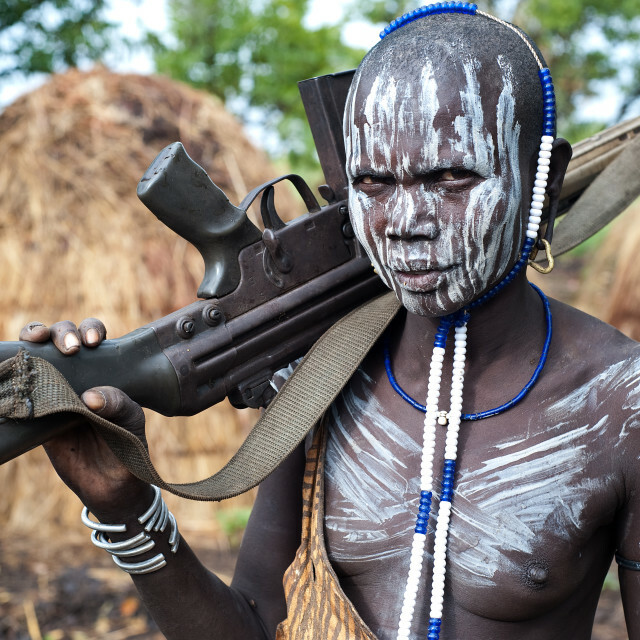 It fulfils our natural cravings for balance and symmetry, and it gives an almost supernatural feel to the photograph. Of course you can just mirror your image in Photoshop to create cool effects, but finding examples in real life is much more satisfying. 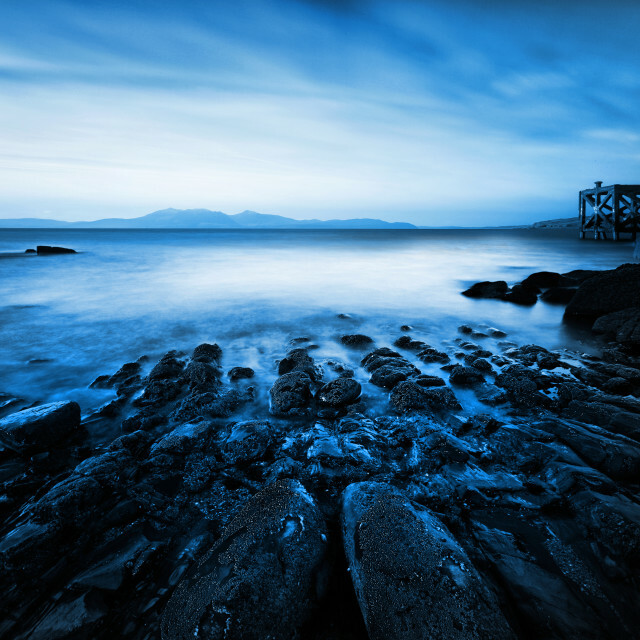 Few objects are as ideal to create a perfect reflection with as large, still bodies of water. 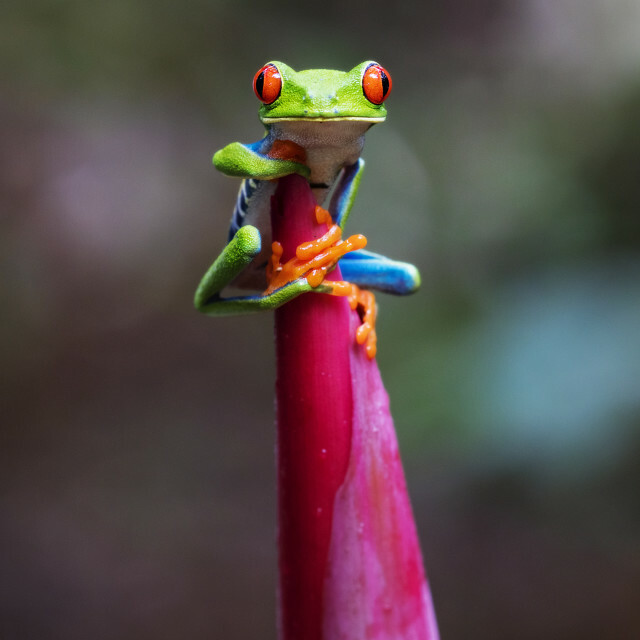 Whether it’s an immaculate mirror or a dreamy distortion created by ripples on the surface, photographers love experimenting with subjects near water to create that perfectly balanced shot. We’ve selected some great examples for you. 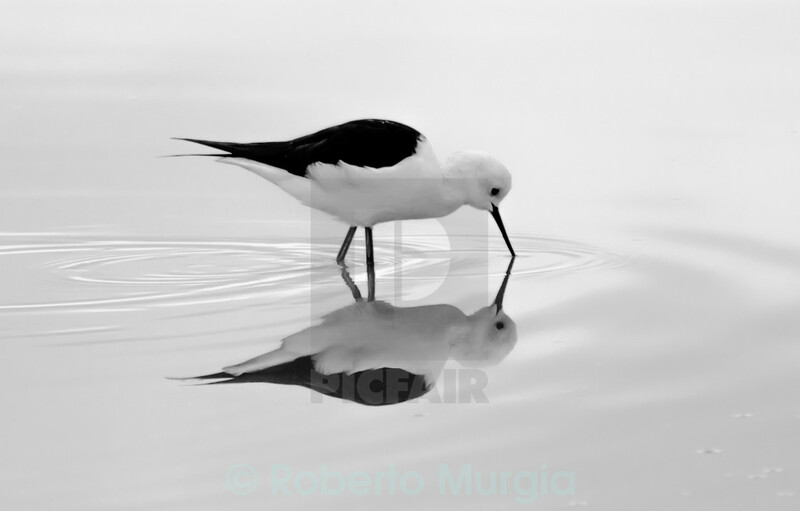 A black-winged stilt wades through the shallow water in Sardinia, Italy, looking for dinner. 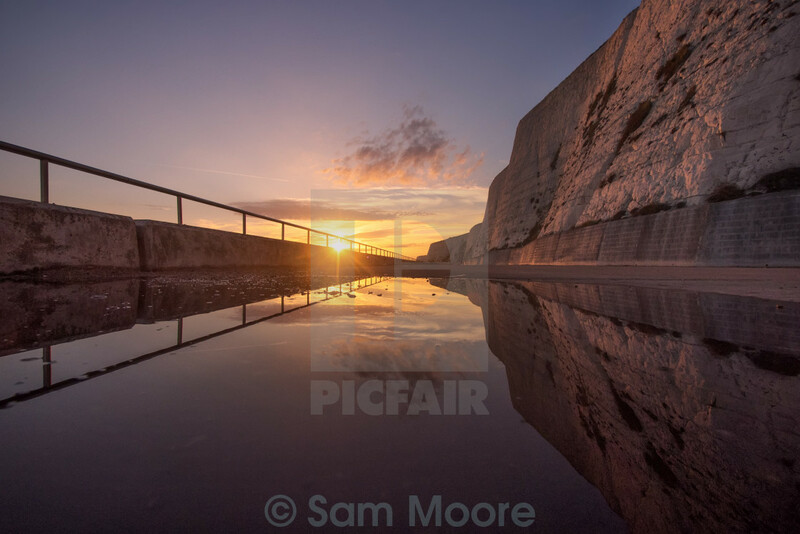 The chalk cliffs and a burning sunset are reflected in a pool of water in Saltdean on the south coast of England. 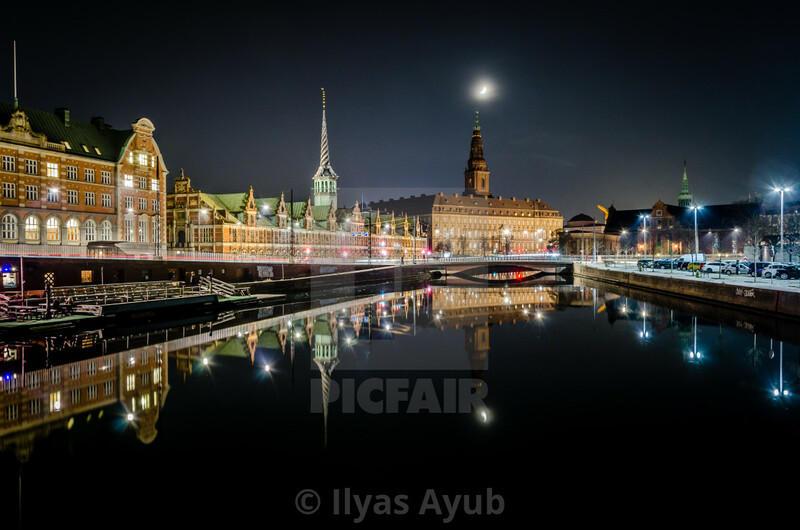 Some of Copenhagen’s beautifully lit landmark buildings are mirrored in one of the city’s canals at night. 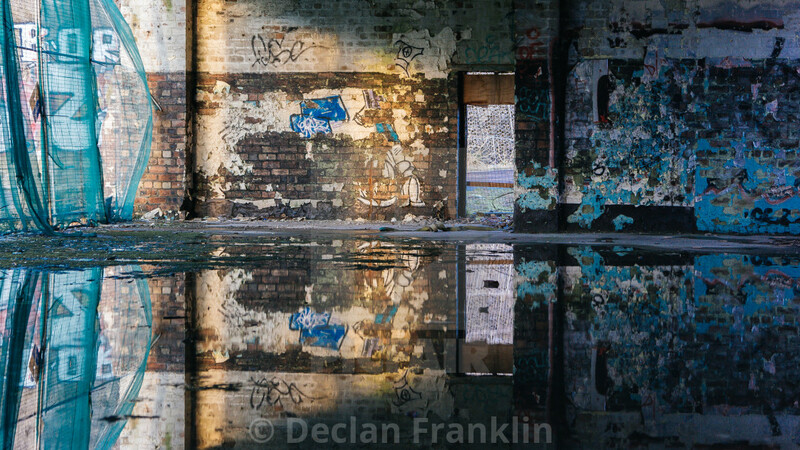 An abandoned building covered in graffiti has flooded, creating a perfect mirror. 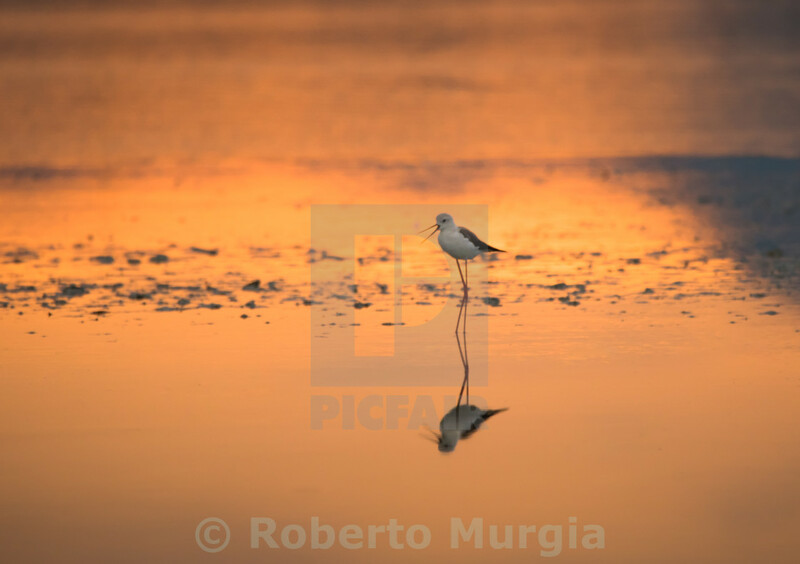 A black-winged stilt’s legs look even longer, reflected against a gorgeous golden sunset. 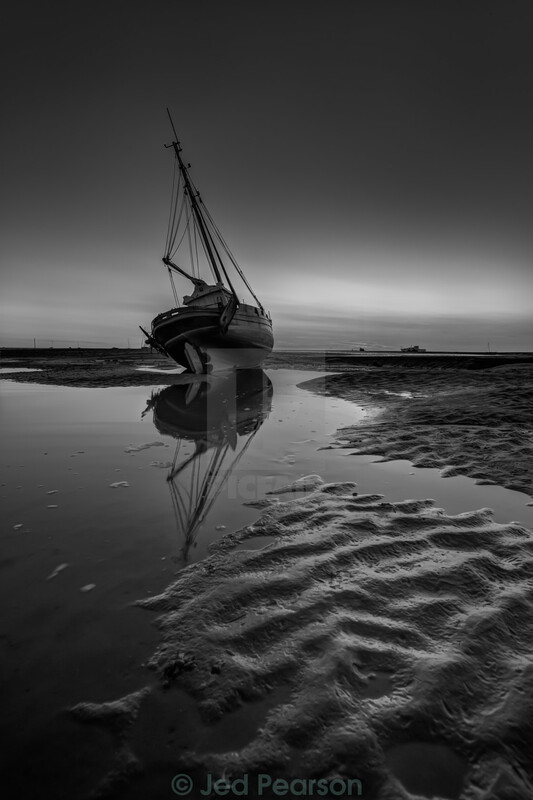 A fishing boat sits on the beach at Meols, on the Wirral peninsula near Liverpool. 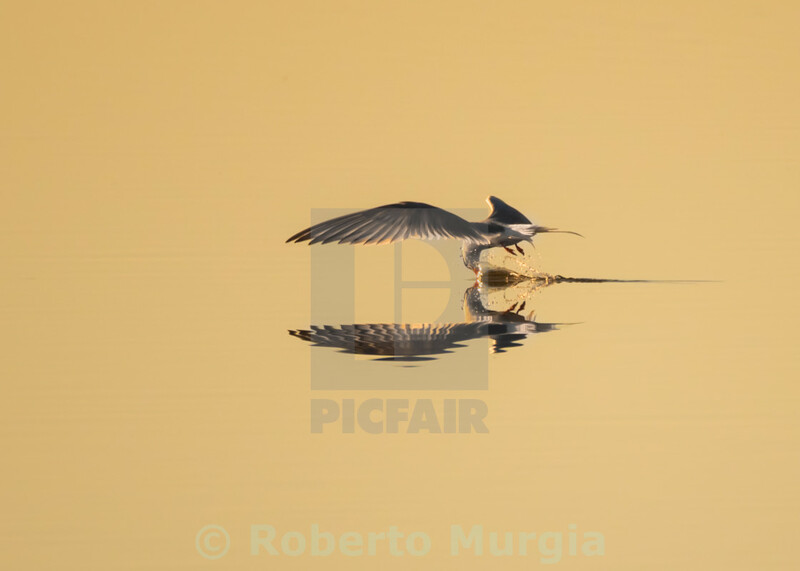 A tern shears majestically across the water to catch fish for dinner. 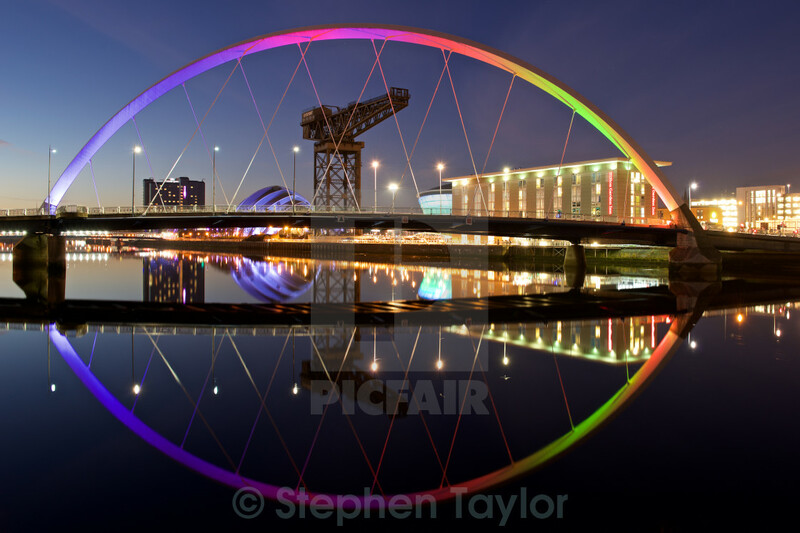 The Clyde Arc, lit up in rainbow colours, is reflected on the river Clyde in Glasgow. 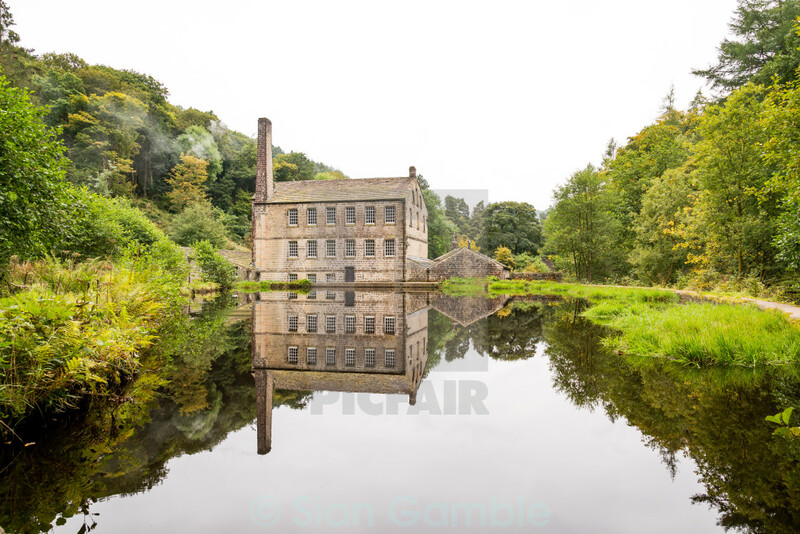 An old mill is mirrored in a pond, surrounded by a still green autumn landscape in Yorkshire. 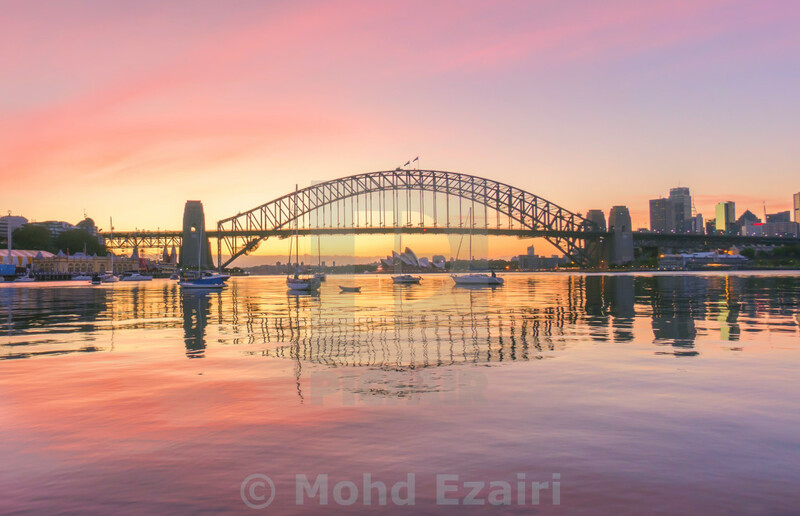 Ripples in the water distort the reflection of Sydney Harbour Bridge during a beautiful sunrise. 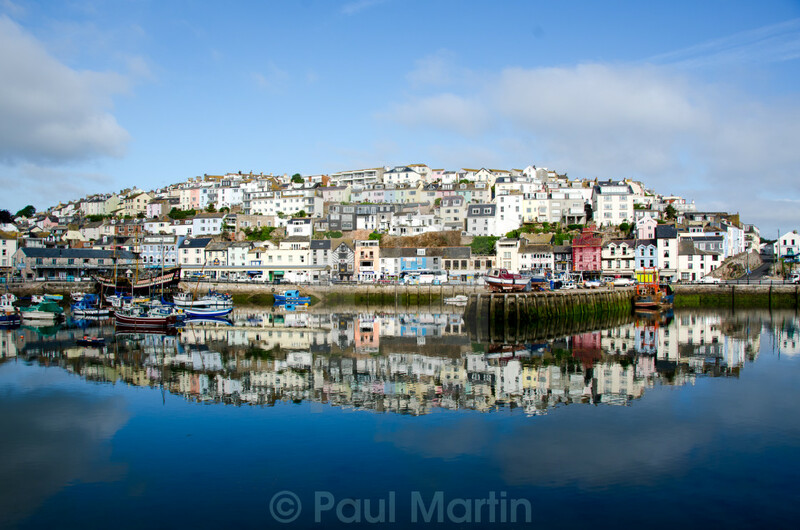 The already picturesque fishing town of Brixham is duplicated in the water of the bay. 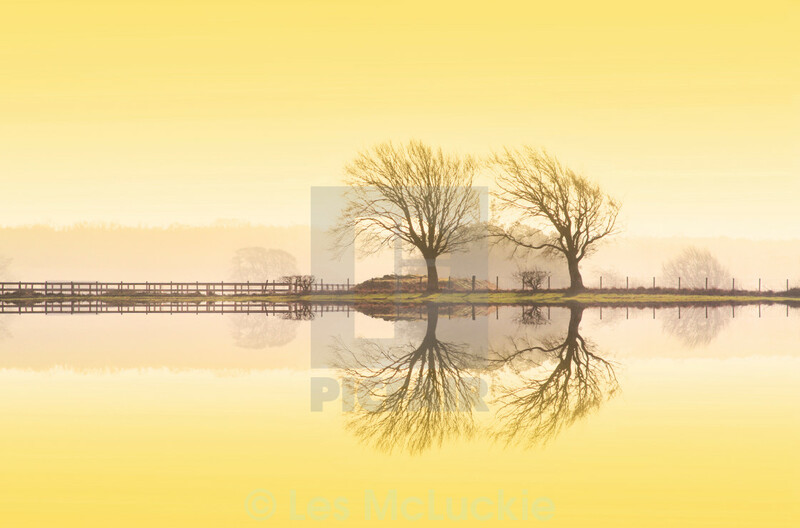 Barren trees stand eerily at the waterside against the bright yellow backdrop of a winter sunrise in Scotland. 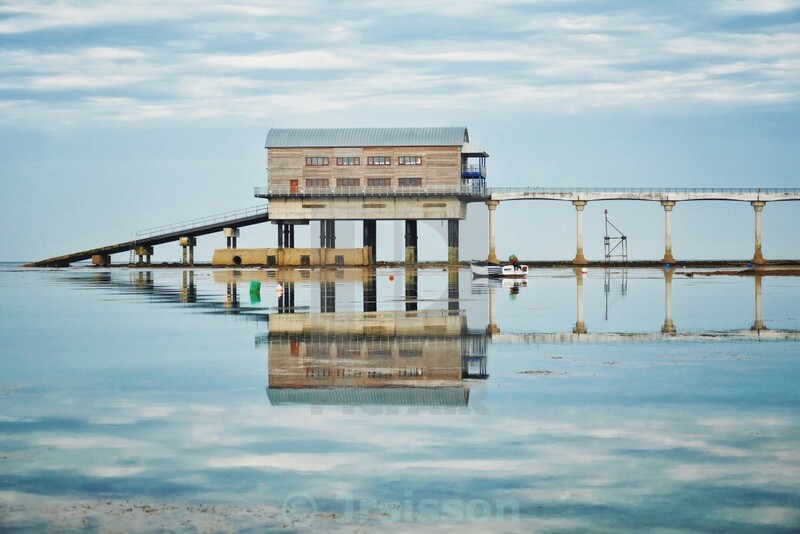 Bembridge lifeboat station on the Isle of Wight is mirrored in the sea, along with the wispy clouds. 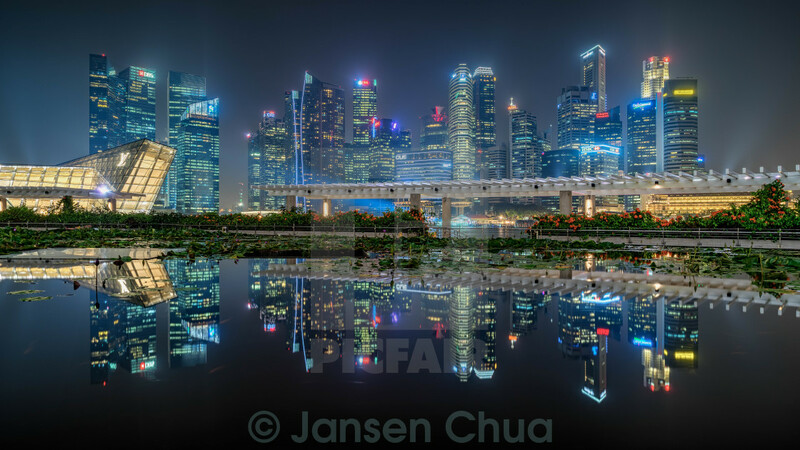 The brilliantly lit business district of Singapore reflects brightly against the night sky. The Alps are mirrored in the Laghi di Fusine in the very north-east corner of Italy. 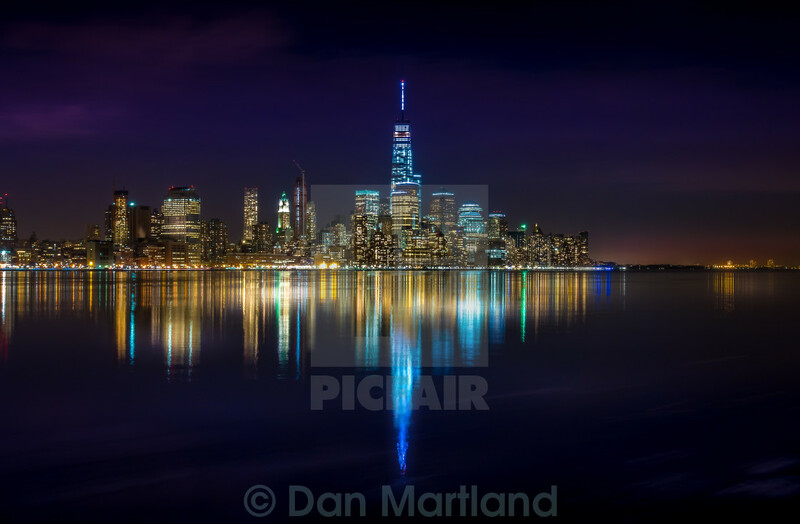 The beautifully lit skyscrapers of Manhattan are eerily reflected in the black bay at night. 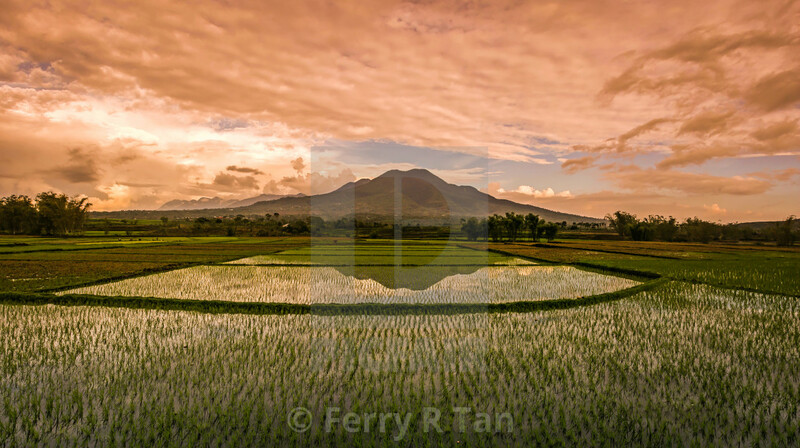 A mountain and a spectacular pink sky are reflected in rice fields on one of the islands of Indonesia. 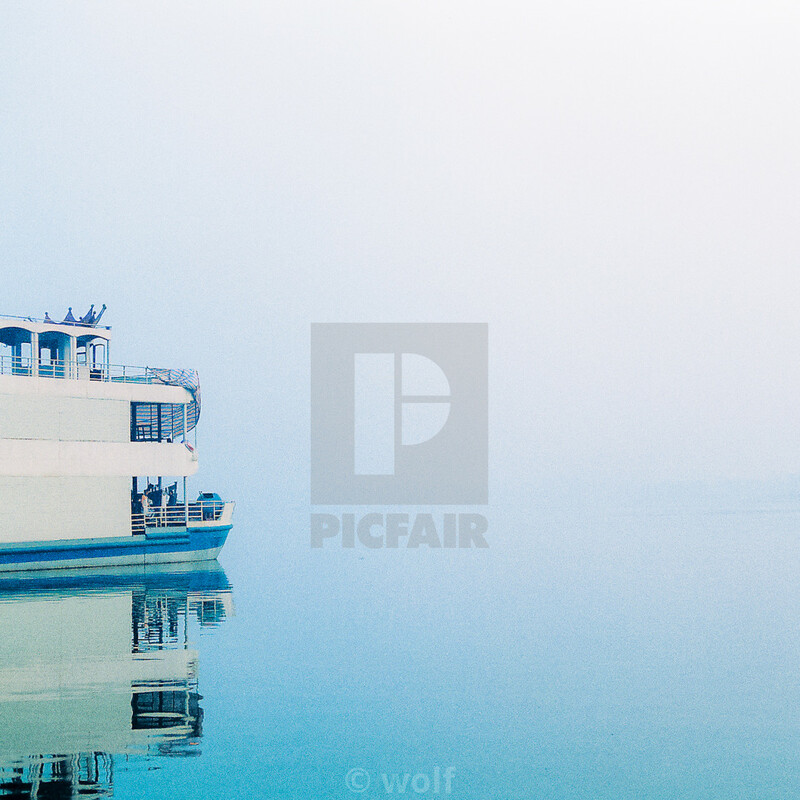 Hues of white and blue add to the peaceful impression in this photo of a ship in the mist. 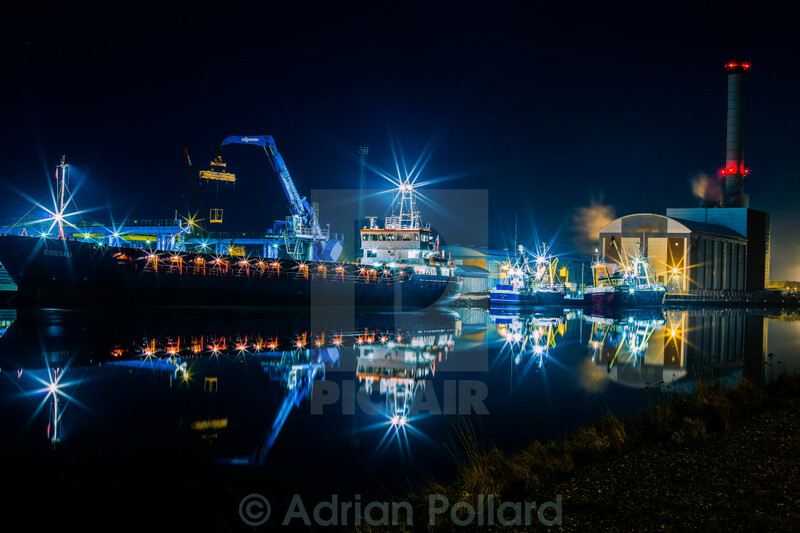 The bright lights of these cargo ships unloading at night are reflected in the water of Shoreham harbour. The sunset turns both sky and water pink and purple in Jämtland, Sweden. 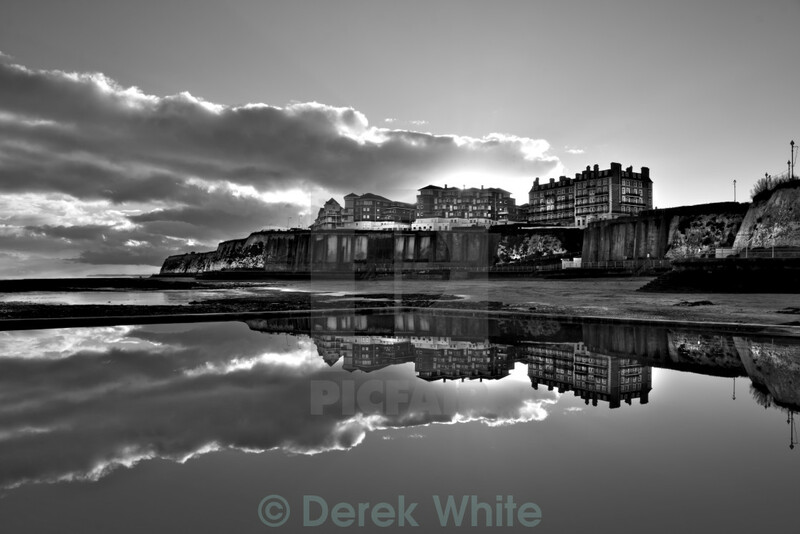 Apartment buildings are reflected in the perfectly still water of coastal pools in Kent, UK. 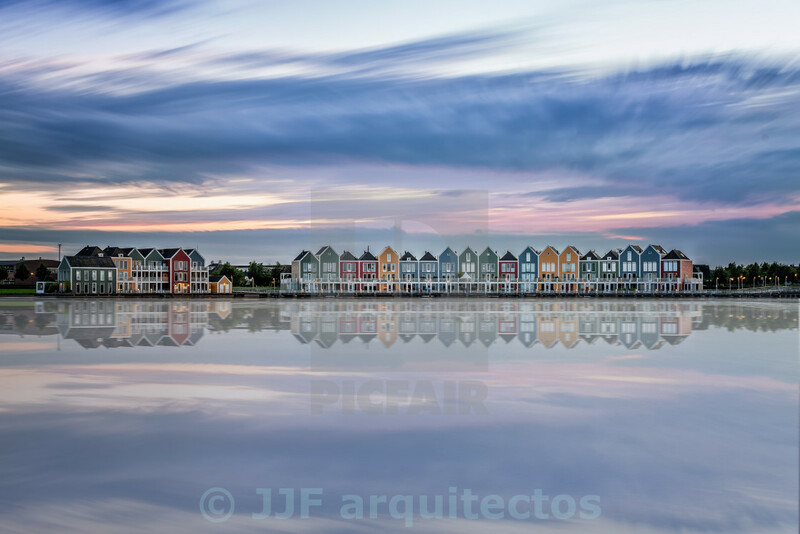 Colourful houses in the village of Houten, The Netherlands, look out over the water at dusk.